I'm going to talk about what will be a debatable subject among Believers ... our capacity to judge others -- especially our fellow Christians. This topic has surfaced after watching a new series of videos by Darren Wilson called Questions With God, where he asks hard, often thorny questions about God and faith. Yes, it is that Darren Wilson who produced the highly controversial Holy Ghost series of films, where he took viewers to locations around the world to see if the Holy Spirit could truly lead a film. [In full disclosure, I loved the Holy Ghost series]. I am also interested in this subject matter due to a recent question posed to me by one of the members of our Home Church. Claire is an intelligent and passionate seeker after the Lord, and she was asking mine and Mark's opinion on an article she had seen regarding Bethel Church and "Destiny Cards". In short, there was a barrage of articles appearing across Christian websites condemning Bethel Church for promoting occultic practices at a New Age festival. It involved the use of "Destiny Cards", which were likened to Tarot Cards. I read several of the articles, and knowing the sources were ultra-Conservative sites and not prone to "coloring outside the lines", I decided to write to Bethel and see if I could get them to clarify. [NOTE: It goes without question, that I do not approve of anything resembling Tarot Card readings or what could be classified as fortune-telling. But I have seen too many instances of deliberate distortion against fellow Christians on some of these sites to believe their condemnation without further research]. I reached out to Bethel by sending them an email which read, "We are a small Home Church in South Texas who is teaching from Bill Johnson's book, When Heaven Invades Earth. One of our members is concerned after reading an article on The Christian Post's website that Bethel is confirming the use of Destiny Cards. Could you please explain to me if this is true --- and if so, explain your reasoning for approving this method of providing a prophetic word to believers. We have been encouraging our group, who are coming out of strict legalistic doctrines and battling spirits of religion ... Stories like this make it difficult to keep them from sliding backwards. Thank you for your time". I was pleased to receive a reply within a few days. It read: "Thank you for reaching out to us to ask about this issue directly. We appreciate your effort to know the truth and value the opportunity to bring clarification to this recent conversation. We’ve compiled our thoughts and perspectives in a statement on [the ministry known as] Christalignment and the supposed “Christian tarot cards,” as well as points of clarification that we feel are necessary from our leadership". They went on to include an official statement from Bethel concerning the subject of "Christian Tarot Cards", and Christalignment, the ministry that was under attack. Bethel made it very clear that Christalignment was not affiliated with Bethel, although the son of the ministry's founders is involved with Bethel. The leaders at Bethel reached out to the ministry to make sure they understood what they were doing, and what they have been accused of doing. And they made it clear that Christalignment stated that they stand in agreement with the Scriptures that all occult practices (like tarot cards) have no place in the Kingdom and should not be used. The long and the short of it can be explained in this section of Bethel's response to me: "Reaching people where they are with the truth and love of God is our job as believers. 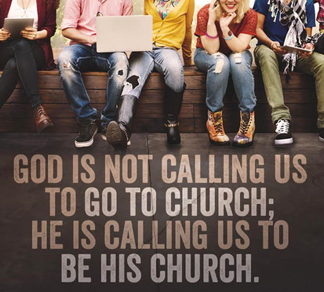 Many people will not come to our churches, yet they are in great need of a personal encounter with Jesus. The leaders of Christalignment feel called to share the Gospel with a people group that most of us would feel unsure of how to approach. We value their efforts to minister to unbelievers in the ways they can more easily receive it and in the places they are going, like New Age festivals... This ministry is a form of outreach meant to share Jesus with those who have never met Him, or think they hate Him, or worse, that God hates them. This practice is not what the ministry leaders do in their church, in their devotional lives and Bible study, when making major life decisions, or when discipling people. It is not taught as the next great way of maturity, a secret new thing for young Christians, or an easy syncretism. This ministry is a way of getting people to stop and engage with fellow humans so that they might encounter the love of the Father and the truth of His Son Jesus Christ. If one of our sons or daughters was away from the Lord and looking for truth at a festival, we would be praying for them to meet believers like this ministry, who know the love and truth of God". I have to tell you, that I value the honesty and the sincerity with which this response from Bethel was presented. They didn't give me a canned [or short] answer. They provided a well-thought-out statement, addressing what they had discovered when they took the time to research the issue and talk to those involved. I wish we could all follow that example! Which brings me back to Darren Wilson's Questions with God series. I was particularly struck by some statements presented by Chad Norris, the lead pastor at Bridgeway Church in Greenville, NC. He said that it had been his experience, early in his Southern Baptist faith background, that his Christianity was defined by the 5 or 10 things he couldn't/didn't do. When it came to having discussions with other Christians about debatable topics it was often characterized by "seeking to understand without listening". In other words, his mind was always going through his mental roladex looking for ways to dispute what his Brother or Sister in Christ was trying to explain... which always lead to misconceptions about their faith practices or beliefs. He said his paradigm looked like this ... You are either in or you're out [in eternity], based on what you believe. And if you happen to believe incorrectly, then everything is at stake. So ... [please get this, because I believe this is the crux of why so many Christians are terrified of considering any new concept of God] ... Pastor Norris says the pursuit of his life became having the perfect theology, and if anyone [or any theology] threatened that, it threatened his eternal security. Heaven and hell are on the line, here, and we're going to fight! Because if I'm wrong, I can lose it all! How many of our fellow Christians can identify with this thought pattern? How many would be honest enough with themselves to admit that this is their belief system? And sadly, Christians who fall into this category will absolutely condemn anyone who strays outside the "acceptable pattern" of what gets you into eternity with God. But for me, it comes down to this... are we not all called to preach the Good News of Jesus Christ to all the world? How are you going to do that if you're not going out into the world, including all the ugly and unholy places? That includes New Age festivals and Heavy Metal concerts, and means consorting with prostitutes and drug dealers and gang members on their terms! They're not going to listen to you, if you don't. Do I always approve of the methods or the language or the actions of my fellow Christians who approach sharing Jesus in these unorthodox manners? No. But if the love of Jesus is their baseline, and there is fruit on that tree they've planted, then I believe they are doing God's work and those other matters are between them and God. Isn't that where our hearts should be aimed? Shouldn't we be encouraging those who are being obedient to the assignments God has given them -- even if they fall outside of the mainstream Christian activities, or are something we would never consider? Isn't that what Jesus did? He, too, upset the religious boundaries of His day, and was condemned for "not following the rules". As for the Christalignment ministry team, here in their own words is how God has told them to share His Kingdom through "Destiny Cards": "Our aim at Christalignment is to attract tarot reading clients, people who are fully into new age practices, psychics, and witches. All of these people can immediately recognize that our cards are not tarot once they sit down at our tables. Card sets, including cards we made named “Psalm cards” with scriptures on them, address the gifting in a person’s life. The color God is showing the person in a prayer encounter will speak to the person through the prophetic image on the front or meaning on the back. It’s the same as when we give someone a prophetic painting, just much smaller. They are all non-predictive, but we call them Destiny Cards, as we believe that giftings and callings given by God for people are certainly part of their destiny. All cards contain beautiful paintings by four different world renown prophetic artists and these paintings alone have deep meanings that have led to salvation and healing for many clients. The team is trained not only to be able to release deep encounters with the Spirit of Truth to clients but to also release words of knowledge and healing. For clients to see Jesus standing before them in an encounter is not uncommon, and many of them get born again. The prophetic word given over us four years ago was that we would see hundreds of witches come into the kingdom, thousands of people turn from darkness, and that tarot cards would be disabled. Praise God this is happening!! As a deliverance ministry, we are able to stop clients ever going to a psychic again and this is our aim". This ministry will not be for everyone. And I will be honest with you, it's outside my comfort zone. And that's okay. They are filling a need to reach the New Age community in this lost world; and they are instrumental in implementing encounters with Jesus. 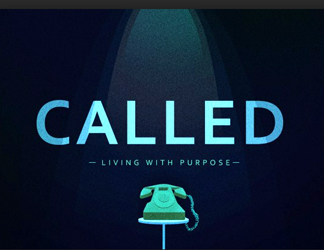 So, where are you being called to serve a lost world? Because if you're not in the world and you are limiting yourselves to serving fellow Christians, you may be sharing the love of Christ, but how much fruit are you producing for the Kingdom? May all of us be led to serve and focus on the assignment the Lord has for us to preach and live the Gospel, make disciples of nations, and build the Kingdom of Jesus Christ. 2 Corinthians 4:5-6 "We don't preach ourselves, but rather the Lordship of Jesus Christ, for we are Your servants for Jesus' sake. For God, who said, 'Let brilliant light shine out of darkness' is the One who has cascaded His light into us -- the brilliant dawning light of the glorious knowledge of God as we gaze into the face of Jesus Christ". I'm thinking maybe instead of putting so much time and energy scrutinizing other people's Kingdom work, we need to ask ourselves what we are doing? Obviously if we have some kind of influence over people on the wrong path we should use that, but I don't think that's the situation here. It is frustrating to me that we often criticize others from our comfortable places. It's ok if you don't agree with what they're doing, but what are we doing? If you're not stepping out of your own comfort zone maybe you should spend more time reflecting on your own journey rather than criticize others. Here's what your comment pointed out (if one is able to see it clearly) ... They AREN'T doing Kingdom work and that's what is making them uncomfortable -- either because they don't believe in that theology, or because it scares them to lay hands on someone or cast out a demon because they've never been taught it, and won't let the Word speak for itself. Another problem that you pointed out is this ... even if we have some kind of influence over people who on the wrong path, they often don't want to receive our input. Mark's favorite quote is, "A man convinced against his will,is of the same opinion still". You hit the nail on the head with your comments. Thank you!